Hey Cougars! With Spring Break just around the corner and students prepping for midterms, Summer is steadfast on its way for some rays and Vitamin D. During this time many college students plan ahead to get back into shape and lose all that holiday weight. Although it is a good thought to be concerned about appeal and presentation, are you aware of the benefits of physical activity and exercise? If not, sit tight, listen, and turn in those thoughts about 6-packs and muscular biceps, and learn more about the positive health effects about staying active. Statistics, Statistics, Statistics. Statistics about physical activity and exercise are important for a number of reasons. First of all, learning the numbers about physical activity in correlation with our overall population helps predict, prepare, and prevent on-going dilemmas. According to Livestrong.com, it is said that only 35 percent of American adults over the age of 18 engage in regular physical activity while the other 33 percent of adults participate in no activity at all. Additionally two-thirds of the American population is considered overweight, and 33 percent are considered obese (2011). The numbers are quite astonishing as we begin to realize how many of our fellow peers and older adults fall into this category. Although we may consider ourselves still youthful and healthy, good habits start young, so why not start now before we become part of that statistic later down the road. There are countless health benefits that can be obtained from implementing some type of physical activity in your life, but I will name a few major ones to consider. As you can see, exercise is tremendously beneficial for our present and future wellbeing. It would be quite unfortunate to obtain one of these life-threatening diseases as it could have been so easily prevented with just a bit of exercise in our lives. So how much exercise is enough for a college student? From the 2008 Physical Activity Guidelines for Americans, it recommends that healthy adults get a minimum of 2.5 hours per week of moderate-intensity aerobic activity, or get a minimum of 1.25 hours per week of vigorous-intensity aerobic activity, or a combination of the two. Broken down, to reap the full benefits of exercising, all you need to do is an average of 15 to 20 minutes of exercise per day. Although everyone is different in terms of health, genes, and age, staying active will only help you live a longer and happier life in the long run. If you’re thinking of becoming active, but are having trouble getting started, it is always best to start off slow; consider a brisk walk or a casual hike with friends. Do not try to dive head first into an overly vigorous activity as it may be beyond your fitness level, and may also have a higher risk of injury. Also, try to find an activity that you will enjoy; things like riding a bike, running through your community, lifting weights, playing a sport, swimming, hiking, and climbing. The possibilities are endless when it comes to physical activities, and you may find that it may also enhance both your enjoyment and your social life if you include friends in these activities. 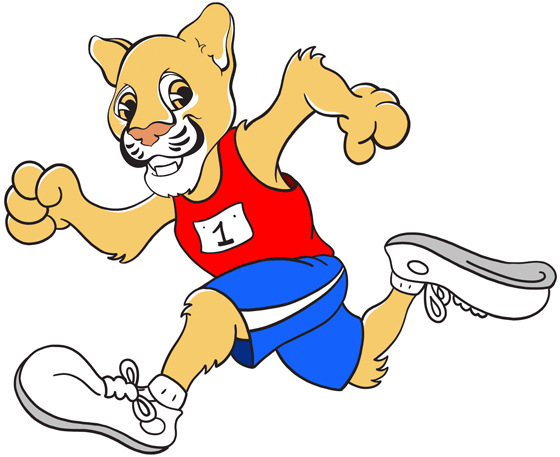 So this Summer, think ahead, be active, and stay a Healthy Cougar! This entry was posted in Latest News and tagged Aerobic, Depression, exercise, Health, Physical Activity, stress, Type 2, Well being by csusmhealth. Bookmark the permalink. A very informative blog post. Thank you for shearing such a nice article.